Late Shri Jagjit Singh (8 February 1941 ? 10 October 2011) was a prominent Indian ghazal singer. He gained acclaim together with his wife, another renowned Indian ghazal singer Chitra Singh, as the first ever successful duo (husband-wife) act in the history of recorded Indian music. Together, they are considered to be the pioneers of the modern ghazal singing and regarded as the most successful recording artistes outside the realm of Indian film music. He sang in Punjabi languagePunjabi (his mother tongue), Hindi, Urdu, Bengali languageBengali, Gujarati languageGujarati and Nepali languageNepali languages. He was awarded Padmabhushan in 2003, the third highest civilian honour, for his contribution to music by the Government of India. He is considered to be the most successful ghazal singer of all time, in terms of both critical acclaim and commercial success, having made the genre synonymous with his name during a career spanning over four decades. He is the only composer and singer to have composed and recorded songs written by an incumbent Prime Minister - Atal Behari Vajpayee, also a critically acclaimed poet - in two albums, "Nayi Disha" (1999) and "Samvedna" (2002). He is also the first Indian composer, and together with his wife Chitra Singh, the first recording artist in the history of Indian music to use digital multi-track recording for their (India's first digitally recorded) album, "Beyond Time" (1987). Jagjit Singh was born in Sri Ganganagar, Rajasthan. His father, Amar Singh Dhiman, a government employee, was a native of the village of Dalla in Punjab (India)Punjab and his mother, Bachchan Kaur from Ottallan village, Samrala. He had four sisters and two brothers and he is known as Jeet by his family. He was raised as a Sikh. He went to Khalsa High School in Sri Ganganagar and then studied science after matriculation at Government College (Sri Ganganagar)Government College, Sri Ganganagar and went onto DAV College, Jalandhar to graduate in arts. He is a post-graduate in history from Kurukshetra University. Jagjit Singh's association with music goes back to his childhood. He learnt music under Pandit Chaganlal Sharma for two years in Ganganagar, and later devoted six years to learning Khayal, Thumri and Dhrupad forms of Indian classical music from Ustad Jamaal Khan of the Sainia Gharana school. The Vice-Chancellor of Panjab UniversityPunjab University and Kurukshetra University, late Professor Suraj Bhan encouraged his interest in music. He arrived in Mumbai in 1965 in search of better opportunities for being a musician and singer. His early struggle in the music industry, though not too harsh by his own account, still had its share of trials and tribulations. He lived as a paying guest and his earlier assignments were singing advertisement jingles or performing at weddings and parties. 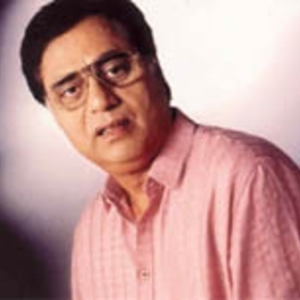 Jagjit Singh was first offered to sing in a Gujarati film. "Dharati Na Chhoru" produced by Suresh Amin, famously known by Jagjit Singh as "Jholi Vaaley Baba": known so, because he carried a red shoulder bag wherever he went. Suresh Amin was from Baroda-Gujarat and was associated with Scad Consultants Pvt Ltd. When Suresh Amin died in 1998, Scad Consultants organized a live concert by Jagjit singh in December 1998 - Jagjit Singh paid a special tribute to Suresh Amin and dedicated the Scad Consultants Concert to Suresh Amin by singing the ghazal "Chitthi Na Koi Sandesh". During 1970s, the art of ghazal singing was dominated by well-established names like Noor Jehan, Malika Pukhraj, Begum Akhtar, Talat Mahmood and Mehdi Hassan. However, he was able to make his mark and carve out a niche for himself. In 1976, his album "The Unforgettables" (On HMV LP Records) hit music stores. Essentially a ghazal album, its emphasis on melody and Jagjit's fresh voice was a departure from the prevalent style of ghazal rendition, which was heavily based on classical and semi-classical Indian music. Skeptics had their own reservations, purists scorned it but it was widely successful among listeners and the album set new sales records. In 1967, Jagjit met Chitra SinghChitra, also a singer. After a two year courtship they got married in 1969. They epitomize the first successful husband-wife singing team. Jagjit and Chitra Singh have made immense contributions to ghazal music and the Indian music industry in general. Successful releases of the duo include "Ecstasies", "A Sound Affair" and "Passions". While these albums were breezy, "Beyond Time" released in the opening years of 1990s was an experimentation with sounds and conveyed a feeling that was beyond space and time. Around this time the duo was struck by grief, when their only son, Vivek at 21-years old, met an untimely death in a road accident. Their subsequent album "Someone Somewhere" was the last album with ghazals sung by both. The album is a tour of the soul, ethereal, conscientious and introspective. After that, Chitra Singh quit singing. Jagjit Singh's later albums, including "Hope", "In Search", "Insight", "Mirage", "Visions", "Kahkashan" (meaning "Galaxy"), "Love Is Blind", "Chirag" (meaning "Lamp"/"Flame") also achieved success. "Sajda" (an Urdu word meaning "prostration"), which has ghazals sung by Jagjit and Lata Mangeshkar. The combined successes of his many albums made him the number one ghazal singer in India. The audience wanted more and Jagjit Singh obliged with his Punjabi albums. His enchanting ghazals use the choicest poetry by renowned poets including Mirza Ghalib, Firaq Gorakhpuri, Qateel Shifai, Ameer Meenai, Kafeel Aazer, Sudarshan Faakir and Nida Fazli, and contemporary writers like Zaka Siddiqi, Nazir Bakri, Faiz Ratlami and Rajesh Reddy. Jagjit also sang (as playback singer) for various songs in Bollywood films including "Arth", "Saath Saath", and "Premgeet" (all from 1980s). These scores remain popular even today. In fact, all the songs of film "Premgeet" were composed by Jagjit. His compositions for the TV serial "Mirza Ghalib" (based on the life of the poet Mirza Ghalib), remain extremely popular among ghazal aficionados. The exclusive element of Ghalib's poetry was sensitively and wonderfully brought out in the soulful compositions of Ghalib's ghazals by Jagjit Singh. The album could veritably be called a magnum opus. Compared to his earlier ghazals (sung during 70s and 80s) his later ghazals have acquired a more soulful and poignant demeanour, as in albums such as "Marasim", "Face To Face", "Aaeena", "Cry For Cry". But all through this, romance never took a backseat! The journey to the soul is punctuated by romantic pauses like "Dil Kahin Hosh Kahin". A testimony to his popularity is his ghazals in recent Bollywood flicks like "Dushman", "Sarfarosh", "Tum Bin" and "Tarkeeb". Most of the earlier albums of Jagjit Singh had English languageEnglish titles. Later, these had Urdu names like "Sahar" (meaning "Dawn"/"Morning"), "Muntazir" (meaning "In waiting"), "Marasim" (meaning "Relation"/"Relationship"/"Affinity" ), and "Soz" (meaning Pathos). The switchover may not be deliberate but marks a milestone in his singing. These new albums show a far better selection of lyrics and his singing has scaled new peaks. Besides ghazals, Jagjit Singh also sang Bhajans and Gurbani (Hindu and Sikh devotional hymns respectively). Albums such as "Maa", "Hare Krishna", "Hey Ram... Hey Ram", "Ichhabal" and also "Man Jeetai Jagjeet" in Punjabi languagePunjabi, put him in the league of Bhajan singers such as Mukesh (singer)Mukesh, Hari Om Sharan, Yesudas, Anup Jalota and Purushottam Das Jalota. The soothing effect that Jagjit's voice has on frayed nerves has prompted psychiatrists in metros (as large cities in India are called) to prescribe them as stress relievers. Jagjit Singh is accredited with bringing the ghazal genre, which was previously restricted to the elite classes, to the masses. His music direction can be seen to be pioneering in changing the sound layout by adding more Western instruments while mostly retaining the traditional orchestra (which includes a tablaa, dholak, bongos, sitar, sarod, santoor, flute, and harmonium, and a couple of string instruments. Jagjit Singh is also nicknamed Ghazaljeet Singh. Jagjit Singh is accredited with finding many playback singers in Bollywood in modern times like Kumar Sanu, Abhijeet BhattacharyaAbhijeet, Talat Aziz. Jagjit Singh voiced his opinion against artists from Pakistan being allowed to sing in India, when Pakistan refused to reciprocate the gesture. In addition to cultivating his own successful career, Jagjit Singh has been involved in guiding many new, talented singers such as Abhijeet BhattacharyaAbhijeet, Talat Aziz, Ghanshyam Vaswani, Ashok Khosla, Siza Roy and Vinod Sehgal. He also lends active support to several philanthropic endeavors such as the Library at St. Mary's (Mumbai), Bombay Hospital, CRY, and ALMA (an organization that adopts under-privileged students for further education and development). Jagjit Singh married the popular singer Chitra Singh in 1969. They live in Vivek Singh Lane (a road dedicated to their son) on Breach Candy in Mumbai. Their only son, Vivek, died in a road accident in the early 1990s. In January 1998, Jagjit Singh had his first cardiac insufficiency (heart attack) which led him to quit smoking. In October 2007, he was hospitalized following blood circulation problems. He died on 10 October 2011. Before this illness, his last major concert was held on 16 September 2011 at Nehru Science Centre in Mumbai. His last concert was held on 20 September at The Indian Public School in Dehradun. Umar2006 playback Singer: "Khumari Chaddh Ke Utar Gayi"
Baabul (2006 film)Baabul 2006 playback Singer: "Kehta Hai Baabul"
Aapko Pehle Bhi Kahin Dekha Hai2003 "Aisi Aankhen Nahin Dekhi"
Leela 2002 "Dhuan Uttha Hai", "Jaag Ke Kati", "Jabse Kareeb Ho Ke Chale", "Tere Khayal Ki"
Deham 2001 "Yun To Guzar Raha Hai"
Sarfarosh 1999 "Hosh Walon Ko"
Dushman 1998 "Chhitti Na Koi Sandesh"
Khudai 1994 "Din Aa Gaye Shabab Ke", "Ulfat Ka Jab Kisis Ne Liya Naam", "Ye Sheeshe Ye Rishte"
Khal Nayak 1993 "O Maa Tujhe Salaam"
Aashiana 1986"Humsafar Ban Ke Hum"
Long Da Lishkara 1986"Ishq Hai Loko"<br />"Main Kandyali Thor Ve"<br />"Sare Pindch Puare Paye"
Phir Aayee Barsat 1985"Na Mohabbat Na Dosti Ke Liye"
Ravan 1984"Hum to Yun Apni Zindagi Se Mile"<br />"Main Gar Mein Chunariya"
Bhavna1984"Mere Dil Mein Tu Hi Tu Hai"
Zulf Ke Saye Saye 1983"Nashili Raat Mein"
Arth (film)Arth 1982"Jhuki Jhuki Si Nazar"<br />"Koi Yeh Kaise Bataye"<br />"Tere Khushboo Mein Base Khat"<br />"Too Nahin To Zindagi Mein Aur Kya Reha Jayega"<br />"Tum Itna Jo Muskura Rahe Ho"